BEAUTIFUL 4 bedroom +LOFT, 2.5 bath home on PRIVATE cul-de-sac .37 acre lot! WONDERFUL CURB APPEAL with covered wrap around front porch and large mature palm tree! Entering the foyer you are greeted with handsome hardwood floors and an abundance of natural light. To the left is a flex room perfect for an office or formal living area and to the right is a large dining room. Continuing in is the family room w/fireplace, a wall of windows, and open to the CHEF INSPIRED GOURMET eat-in kitchen w/ breakfast bar, Silestone countertops, gas stove, stainless steel appliances, and 42'' cabinets. Completing the first floor is a HUGE laundry room, guest bath, screen porch, and 2 car garage. The second floor features a master bedroom suite with his and her walk-in closets, sitting area, spa-like master bath with dual sinks, relaxing soaking tub, and separate shower. There is a loft upstairs that is perfect for a media room, game room or upstairs living area. There are three additional generous sized bedrooms with large closets that share a full bath with dual sinks. Myers Mill in Summerville is a wonderfully landscaped community with a community pool, pavilion with picnic tables, and walking jogging trails. 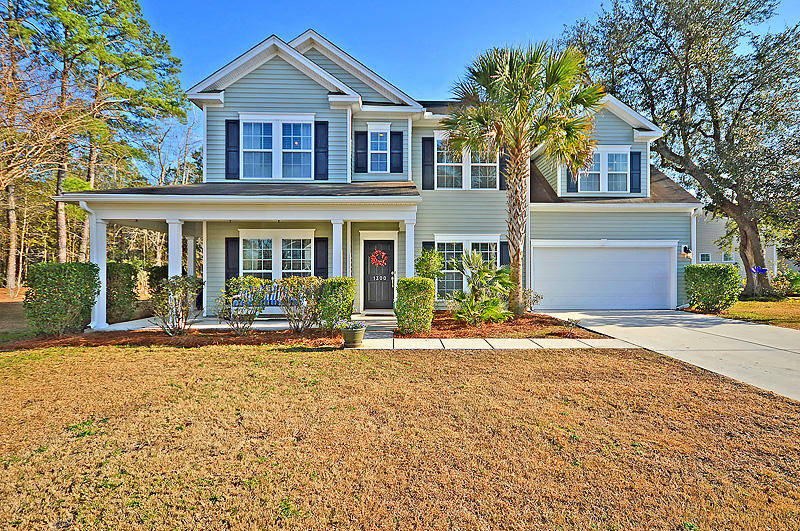 The neighborhood is close to local shopping and grocery stores and is a short drive to downtown Charleston with 5-star restaurants, world class shopping and iconic history as well as a short drive to the beaches, the airport, Volvo, Boeing and Daniel Island. Come take a look because you will not find another home that offers as much as this one!